Serving Ice Cream, Gourmet Coffees, and Panini Sandwiches in downtown Hale. 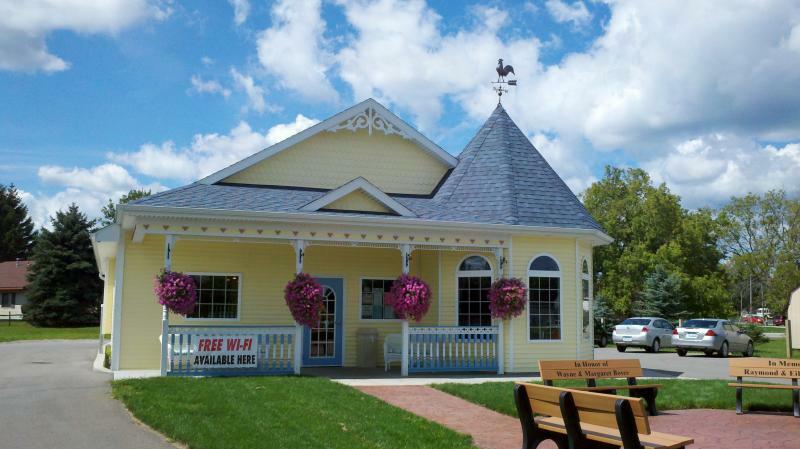 We have both soft serve and Mackinac Island Creamery ice creams. Stop by whenever you're traveling on M-65, we have drive-thru service! Use our convenient drive-thru in the morning to get a coffee to go on the way to work! Swing through in the afternoon for in ice cream, frappe', or smoothie. Traveling on M-65? Swing through the drive-thru for some ice cream on your way. Try one of our Panini Sandwiches or Breakfast Sandwiches, served every day. Copyright 2011 The Victorian Cafe'. All rights reserved.